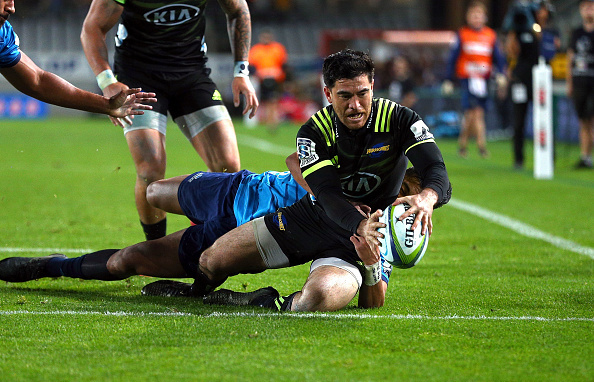 The Hurricanes beat the Blues 36-15 in Auckland on Friday to claim their ninth straight victory in 2018. JON CARDINELLI reports. The Hurricanes’ hot streak continues. Chris Boyd’s charges have not lost since going down in their season opener against the Bulls at Loftus Versfeld. What’s more, the victory against the Blues marks their fourth straight win against a fellow Kiwi side. By contrast, the Blues have now gone 16 matches without a win against New Zealand opposition. 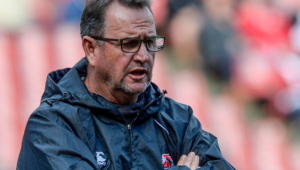 While they’ve claimed some big scalps in 2018 – they beat the Lions, last year’s finalists, at Ellis Park – their inability to outmuscle and outplay their own countrymen looks set to cost them a playoff place. The Hurricanes made a statement in the sixth minute of this fixture. The visitors set the maul from the lineout and proceeded to bulldoze their way over the line. The Blues needed one of their big-name players to step up. Sonny Bill Williams obliged with a powerful surge and pinpoint offload. Centre partner Orbyn Leger collected the pass to score for the hosts. It didn’t take long for the Hurricanes to reassert their physical dominance. The visitors turned down a series of kickable penalties deep in Blues territory, and eventually scored via a Gareth Evans quick-tap. They continued to turn down a shot at goal in the closing stages of the first half but failed to cross the chalk due to several mistakes. The 14-8 scoreline at the break didn’t quite tell the story of the Hurricanes’ performance. The Blues hit back after half-time when prop Ofa Tuungafasi burrowed over from close range. True to form, the hosts then proceeded to concede a try at the other end of the park. The Blues defence was woefully inconsistent across the 80 minutes. Nehe Milner-Skudder brushed Stephen Perofeta aside to put his team back in front after 53 minutes. The Hurricanes struck a devastating blow after Evans stole one against the throw right on the Blues’ tryline. Sam Lousi crashed over and Beauden Barrett kicked his fourth conversion of the match to propel the visitors into a 13-point lead. Barrett goaled a penalty in the 70th minute to secure the result. The Hurricanes went hunting for a bonus point thereafter, and achieved that objective when Matt Proctor scored shortly before the final hooter. Blues – Tries: Orbyn Leger, Ofa Tu’ungafasi. 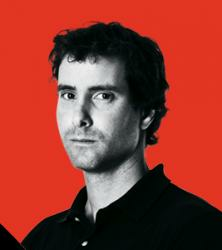 Conversion: Stephen Perofeta. Penalty: Perofeta. Hurricanes – Tries: Ricky Riccitelli, Gareth Evans, Nehe Milner-Skudder, Sam Lousi, Matt Proctor. Conversions: Beauden Barrett (4). Penalty: Barrett. Subs: 16 Matt Moulds, 17 Pauliasi Manu, 18 Sione Mafileo, 19 Ben Nee-Nee, 20 Dunshea, 21 Jonathan Ruru, 22 Dan Kirkpatrick, 23 Melani Nanai. Subs: 16 James O’Reilly, 17 Chris Eves, 18 Ben May, 19 Michael Fatialofa, 20 Blade Thomson, 21 TJ Perenara, 22 Ihaia West, 23 Jordie Barrett.